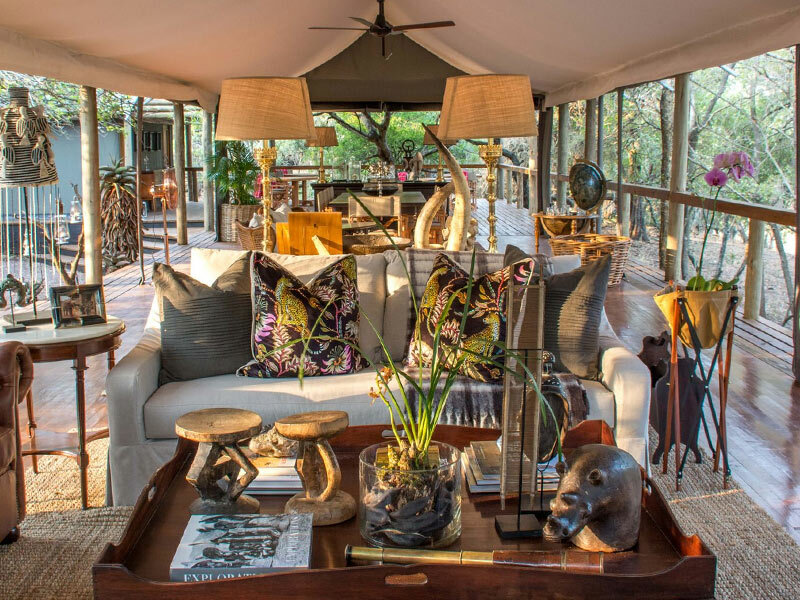 Designed to bring an authentic safari experience in traditional East African style to Kwa-Zulu Natal, Rhino Sands Safari Camp is an 8-bed luxury tented camp set on a peninsula in the Msunduze River in Manyoni Private Game Reserve. The entire camp is set under canvas upon wooden platforms within the riverine forest. 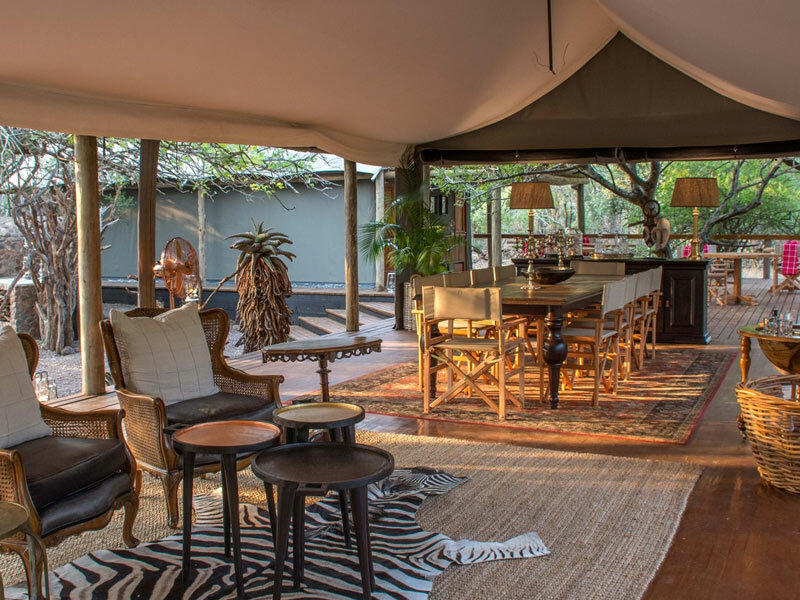 The main camp area features a reception office, casual bar lounge space, formal lounge, and both formal and casual dining areas. 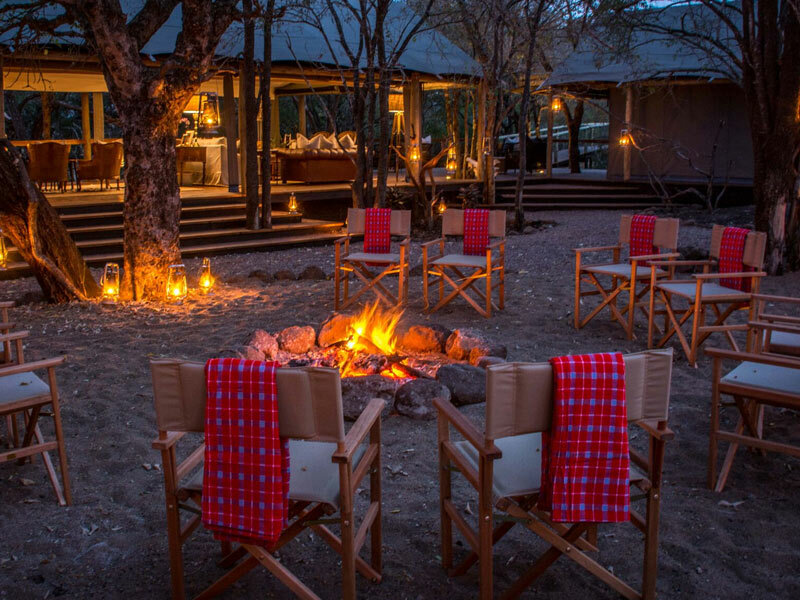 There is also a large boma area complete with bush oven for guests to enjoy dining fireside beneath the stars. Rhino Sands is ecofriendly and has been constructed with minimal disruption to the natural forest, highlighting rather than dominating the surrounding environment. Electricity runs entirely on a solar installation. Offering organic coffee and teas, wines produced using biodynamic methods, seasonal menus, and biodegradable and organic amenities, the environment and our impact upon it has been considered with every decision made in running Rhino Sands.